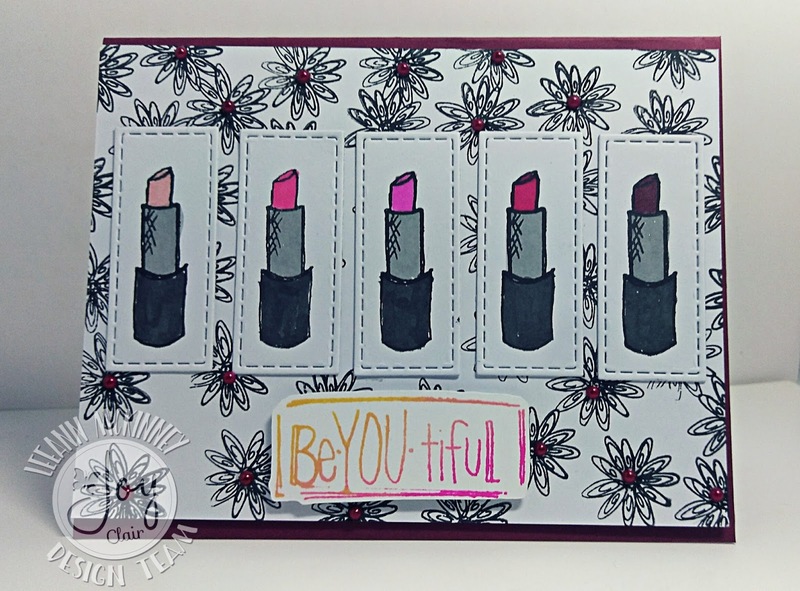 Greetings friends and fellow crafters, LeeAnn here today with Joy Clair and this great stamp set from the Color By Faith line called Flawless. This set is perfect in many ways, I can see using it with Teen Birthday cards, and Bible Journaling. Today I made a fairly simple project, and am happy to share it with you. Making this project I used the small flower from this stamp set, and using Versafine Black Onyx ink I stamped this flower all over the card base. I then used my stamp tool and stamped 5 images of the lipstick with Memento Tuxedo Black and with my Spectrum Noir Markers CR3, CR6, BP2, DR1 and DR7 and colored one top with each. I followed that up with Wink of Stella in Silver for the lipstick tube and Wink of Stella in Black for the base. The next step was to use a rectangular stitched die to cut out each lipstick into its own section. Once all this was finished I used double stick tear tape to attach each rectangle across the base. 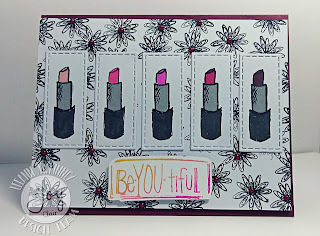 I used Recollections Ombre' Ink to stamp out the Be-YOU-tifuL and positioned it along the bottom of the card. Finishing touches were made by using On-Point Glue to attach the little half pearls in the center of each flower as I remembered our technique for the month was to use bling. 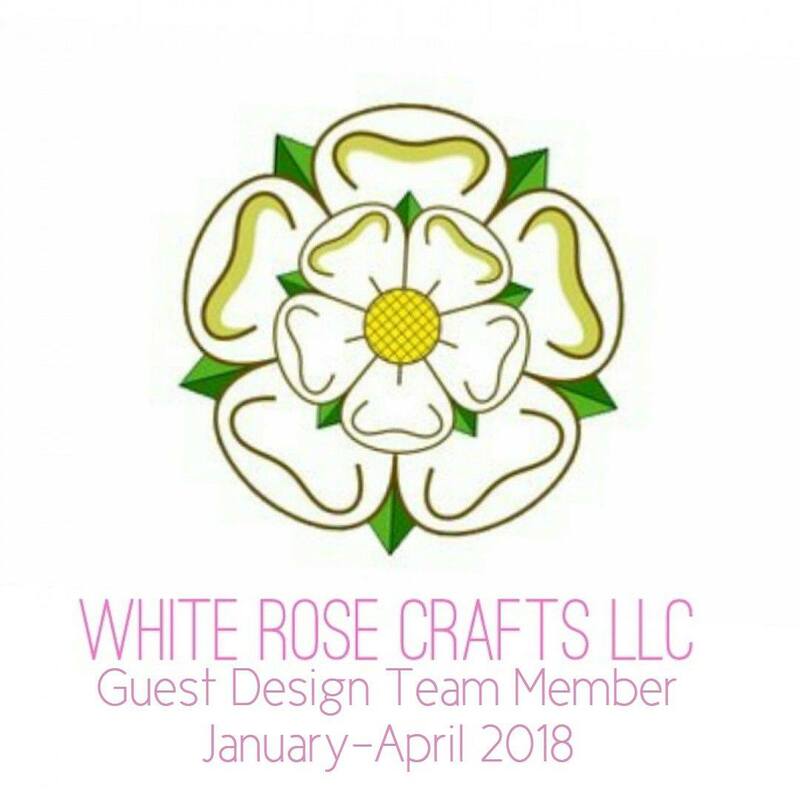 I hope this post has given you some inspiration to use this set. If you would like to see another project I made earlier with this same set you can just click here. 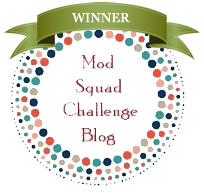 Love this card LeeAnn! The different shades of lipstick remind me of my daughters counter in the bathroom! This really shows off this wonderful stamp set!